I recently had a birthday – the title may given that game away. I had a birthday cake with a candle And even though my 29 year old self knows that wishes rarely come true, I took I big breath and I wished a wish anyway. Obviously according to the birthday cake candle wish rules, I can’t tell you what my wish was. Can you guess? I don’t think I am breaking any birthday cake candle wish rules by telling you that ever since I was old enough to realise that my same wish had never come true, I stopped wishing for a fluffy pet flamingo and since then I made the same two wishes all my life. I either wished..
2. I wished that if there was such thing as a true birthday cake candle wish, than please give it to someone else. I didn’t mean to snub a (non existent) gift… Chance… that was for me or admit that it may not actually come true. But in those moments, almost every year, when I had all my family around me, I had everything I ever needed. I was Am a very lucky girl. This year in a moment of panic I started to blow out my candle and realised I hadn’t pre-prepared a wish!! The pressure was on and I had to make a snap decision on the spot. I wished with all my might for the one thing that would complete my life. But I totally lost all hope of that ever happening soooo…. I took matters into my own hands and bought myself a birthday gift. 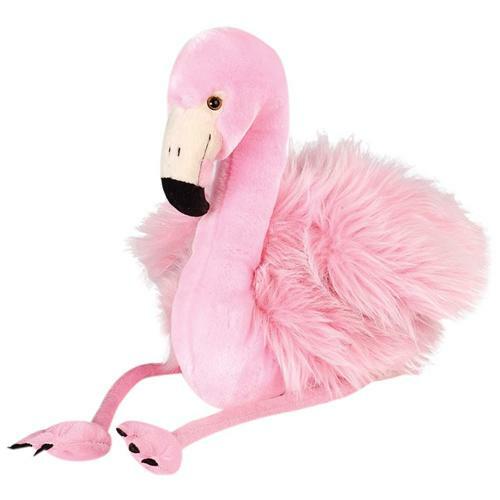 Meet Felicia flamingo – the name felicia choosen for its meaning – happy. When she arrives she will have pride of place on my bed to remind me every morning to make the most of each day…. Or something mentally healthier…… Happy Birthday to me.